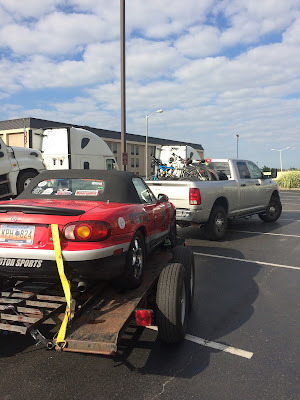 Brian Nixon and Jason Rucker are now on their way to the SCCA National Solo (autocross) Championships and competing on September 9-10th in Lincoln Nebraska against the best drivers in the USA. 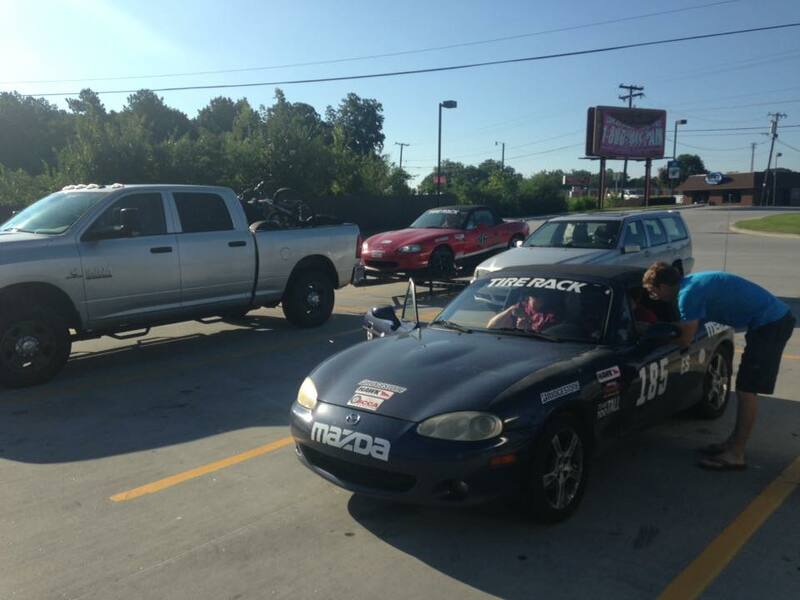 They've been co-driving the NMS Miata, tuning the suspension, trying different tires and wheels, and comparing notes to improve their driving all year long. In an attempt to put this galactically gigantic competition into perspective, I thought you should take a look at the schedule for the entire week! Even with this, you'd probably have to go and experience this in person to see how much fun it is, and get the flavor of over 1300 drivers meeting in one place every year. We'll be giving you some more info on this event, and Brian will be blogging from Nebraska too. 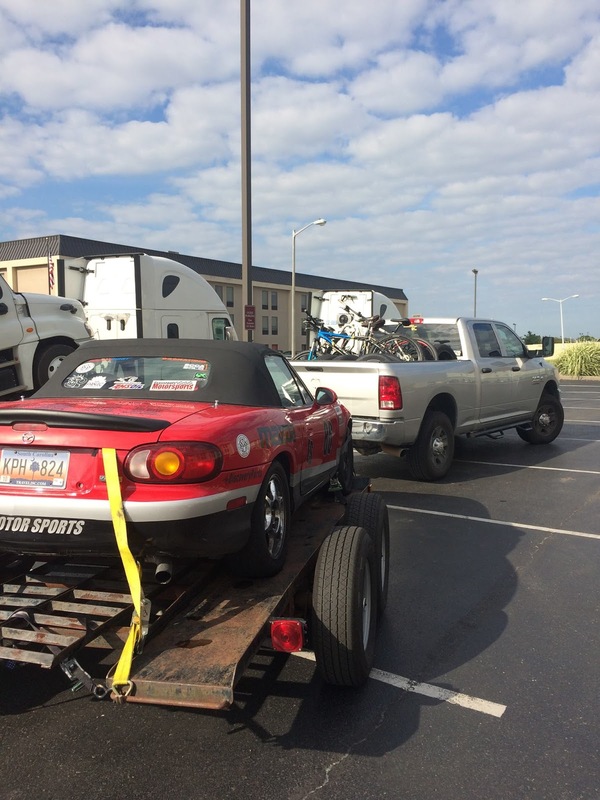 On Thursday and Friday when they are driving, there will also be live timing updates on the SCCA website Solo National Championship so we'll be posting about that when the time comes if you want to follow along on the internet! The schedule below looks pretty massive, but keep in mind that there are a lot of classes of competition, and a driver in one class will be driving just two of the days during the entire week. Driving groups are split up, with some classes driving on Tuesday and Wednesday, and other classes driving on Thursday and Friday (including Brian and Jason). Besides the two competition courses set up at all times, there is another course for testing-and-tuning, so all the competitors have ample time to tweak their cars, and time to walk the competition courses before driving on them.